I can't believe how quickly my time in fourth grade went by! It seemed like I barely blinked and we were teaching the last day of our economics unit. It was quite a fun day, I beamed with pride as I walked around the room, observing and asking questions about what the "business teams" were selling, how they marketed the product, how they determined demand and what their business model was. The class was broken up into six "business teams", earlier in the unit they were given the opportunity to brainstorm what product they wanted to create out of a list of raw materials, then they surveyed their classmates, determined if the product would be "in demand" then spent the afternoon creating the product from scratch. I was AMAZED at the creativity the students showed! 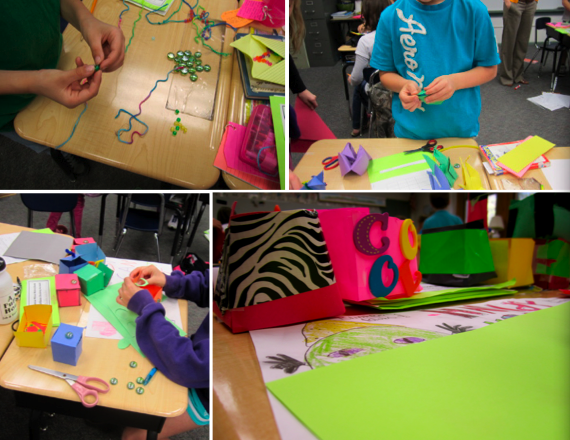 Here are some pics of the "market shopping fair" in action, LOTS of economics going on here! I love the "handy holder's" creative "COOL" holder! Some Wonderful advertising going on here! We did a lesson about using descriptive language in advertisements! Looks like a lot of learning was going on! I love the "New" and the quote "People say this together 'I love looney'"
Wanted poster advertisement for the parachute! "Totally need to buy these brand new bracelets and necklaces"
& "You're not imagining it"
I can't imagine how difficult it will be to "send off" my kiddos next semester after student teaching, or worse when they really are my class! I am such a sap! 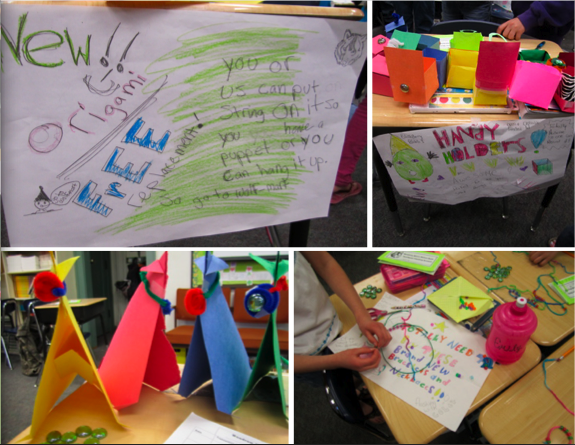 It was a great semester, I learned so much and will never forget those crazy, creative 4th graders! 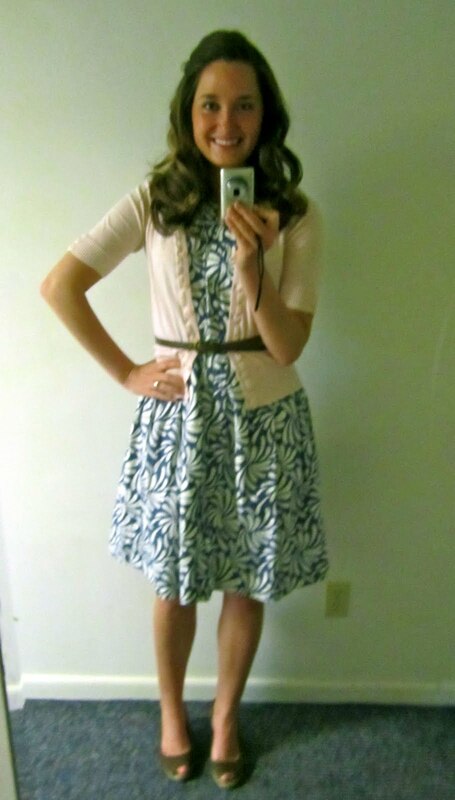 channeling my inner "Miss Honey"
Dress (Target), Light Pink Cardigan (Gap circa 2003), Belt (can't remember, maybe TJ MAXX), Brown Wedges (Payless).